According to ICMJ Prospecting and Mining Journal, although New Mexico isn't well known for its placer gold, there has been quite a bit found, revealing the potential for finding placer gold in the state. A placer deposit is the term to explain when gold accumulates. This occurs in riverbeds of active rivers or in ones that are now dry. Because gold is heavier, six to seven times more than other materials, it settles in sand or small rock. 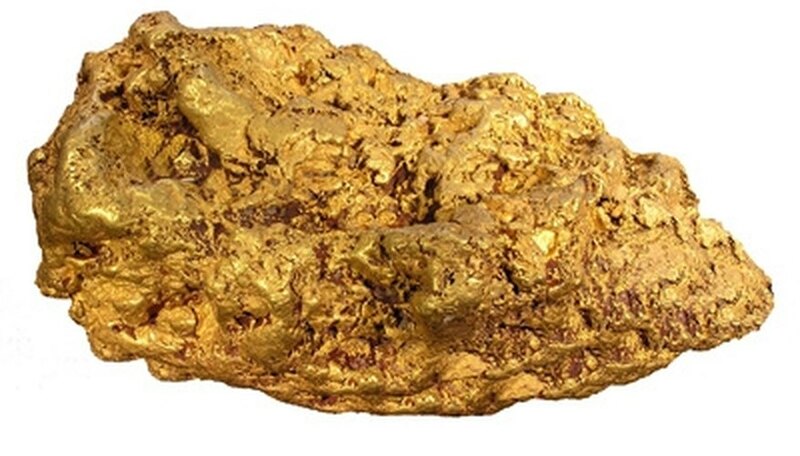 Nuggets are considered placer gold. New Mexico is approximately half the size of Texas, and its elevation goes from approximately 3,000 feet to higher than 13,000 feet. The highest area is the Sangre de Cristo Mountains located near Taos. New Mexico has less than eight inches of rainfall yearly in the desert, which can impact gold nugget hunting. Searching on dry land is more difficult than in rivers and streams. ICMJ states that placer gold was found near Taos, on the Rio Grande, adding: "New Mexico is credited with a production of 662,000 ounces of placer gold since 1828, though actual production was greater since a lot of placer production was not recorded." Northeast of Taos, in Elizabethtown-Baldy, placer gold was found in 1866. The find was at an elevation above 8,000 feet. While building a 41-mile ditch in 1869, gold was found and dredging took place between 1901 and 1905. More than 150,000 ounces of gold were taken from the area. The find called the Baldy placers were along Ute, Willow and South Ponil Creeks. More than 52,000 ounces were taken from this find. Hillsboro is known for being in the dry placer area. In 1877, more than 150,000 ounces were found. Other places with substantial placer finds include "Old Placers," southwest of Santa Fe; "New Placers," northeast of Albuquerque; Pinos Altos, just seven miles north of Silver City; Hopewell, in northern New Mexico; Pittsburg, on the west side of the Caballo Mountains; and Jicarilla, in the northern section of the Jicarilla Mountains. ICMJ says that there is the potential to find more gold in New Mexico: "Lesser amounts of gold can be found elsewhere and there could be undiscovered deposits in the state, especially downstream from areas that are known to be mineralized. Iron-stained sandstone beds in various parts of the state may contain finely divided gold." New Mexico has a Gold Prospectors Association of New Mexico as well as the New Mexico Gold Miners Association. Gold mining clubs and associations are a valuable asset on the way to finding a prized gold nugget.